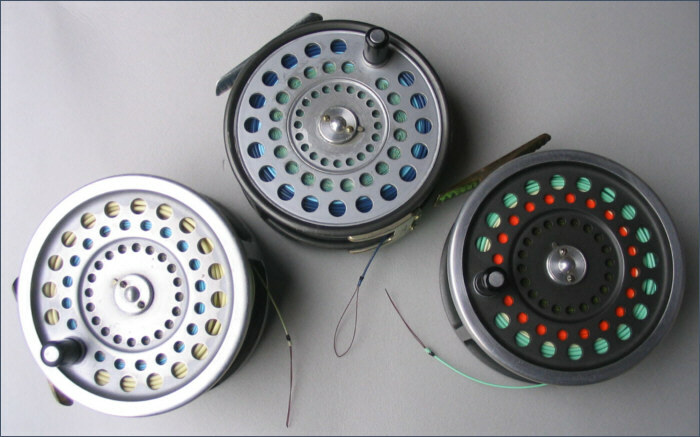 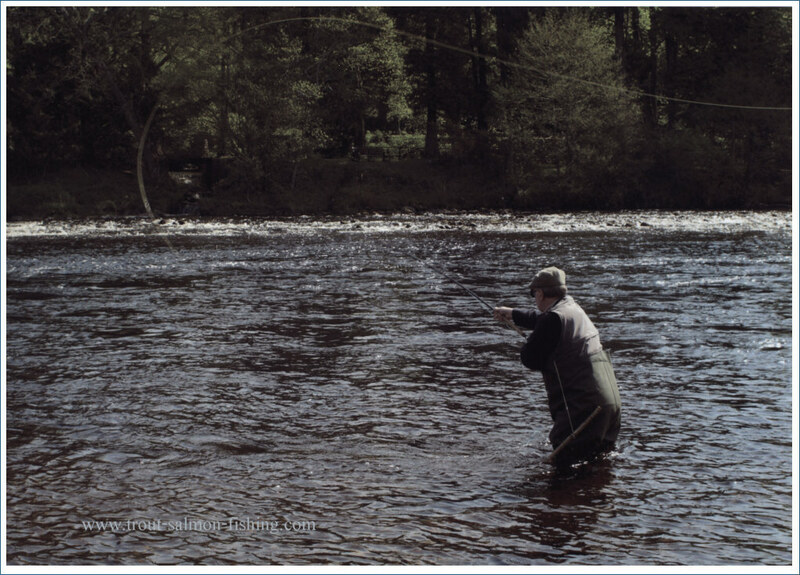 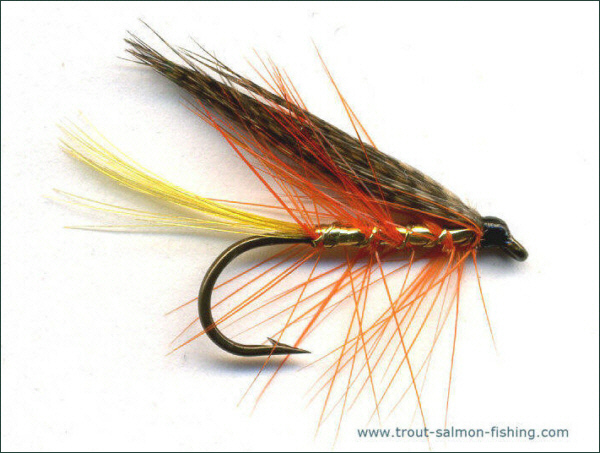 A series of salmon, trout and sea trout flies are illustrated below, with fly photographs, fly tying instructions, some with illustrated step-by-step tying sequences and a description of the fly tying materials employed in their dressing. 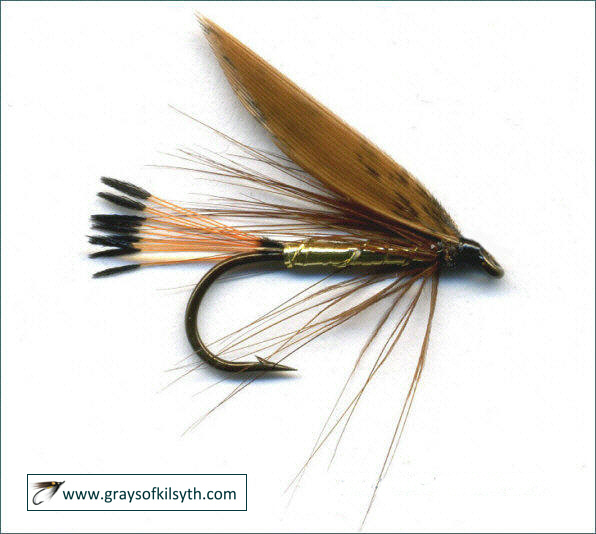 A range of salmon, trout and sea trout flies are presented, from famous salmon flies like the Garry, Willie Gunn and Cascade, one of the most successful salmon flies of all time, to less well known but equally effective, and often simpler flies, like the Needle Fly. 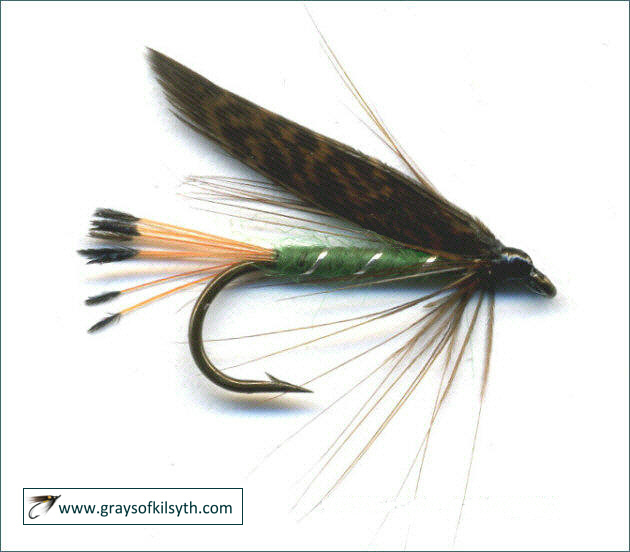 The Trout Fly Tying section includes famous Scottish loch fly patterns like the Blae & Black, Dunkeld, Mallard & Claret, Cinnamon & Gold, Red Palmer, Grouse & Green, Greenwell's Glory and Black Pennell, while the Sea Trout Fly Tying section features simply dressed singles such as the Mallard and Silver and squirrel winged flies, along with a few of the recently developed Needle Tube Flies, ultra slim tube flies dressed on fine stainless steel tubes with an outside diameter of only 1.5mm. Most of the salmon and sea trout fly patterns are accompanied by links to pages showing detailed illustrated fly tying step-by-step sequences. 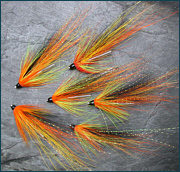 A few salmon flies are shown below, along with notes on how to tie them and links to fly tying step by step photographic tying sequences. 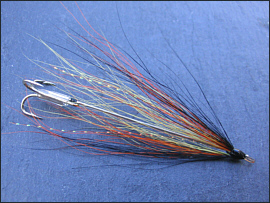 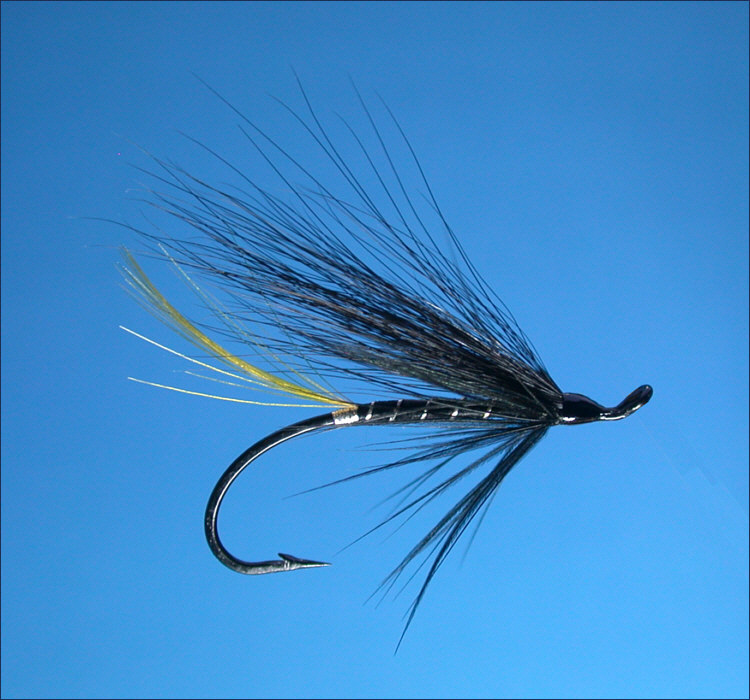 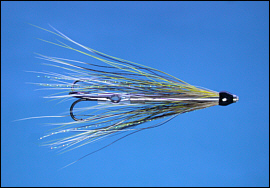 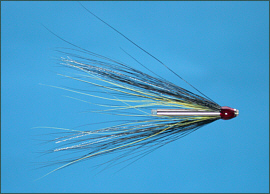 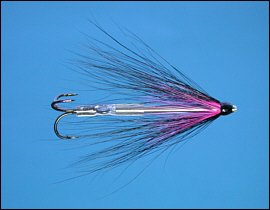 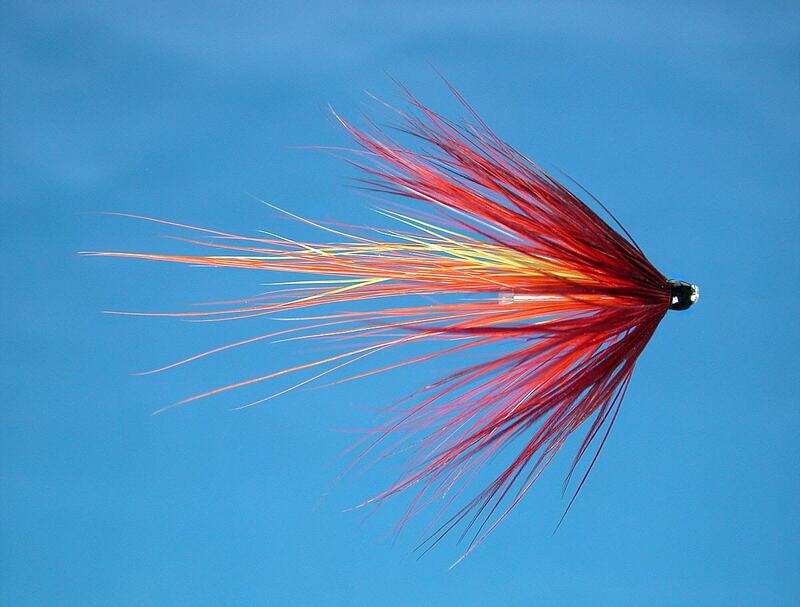 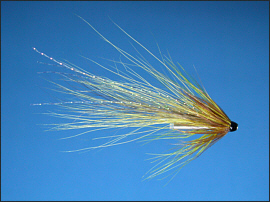 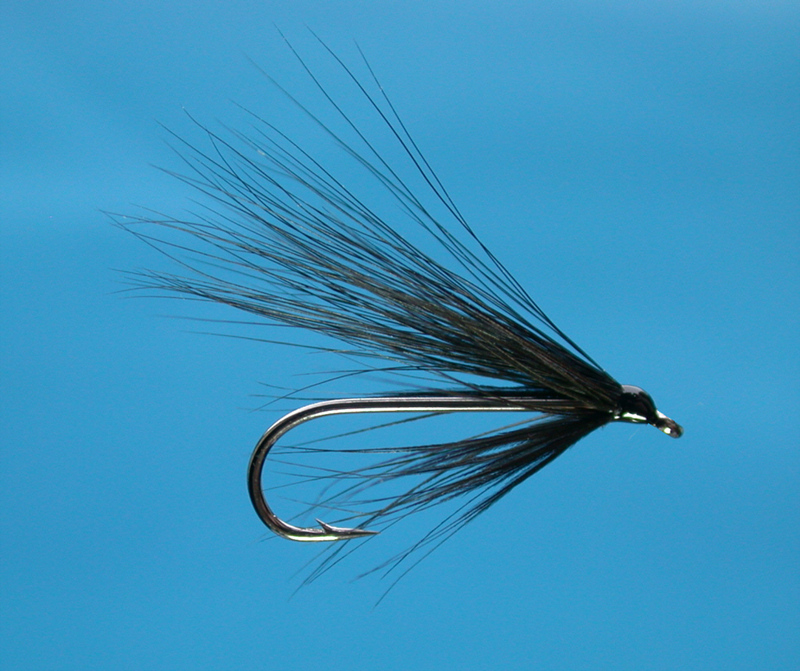 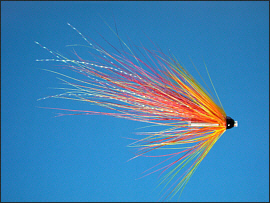 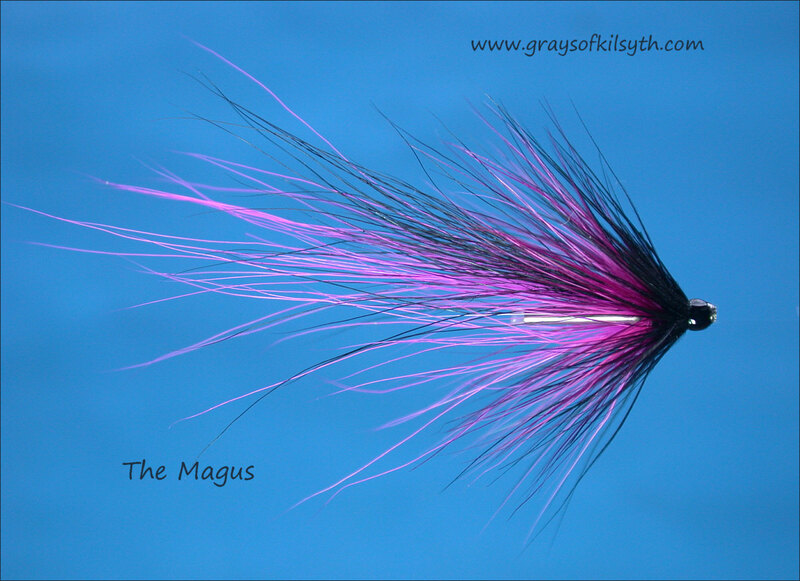 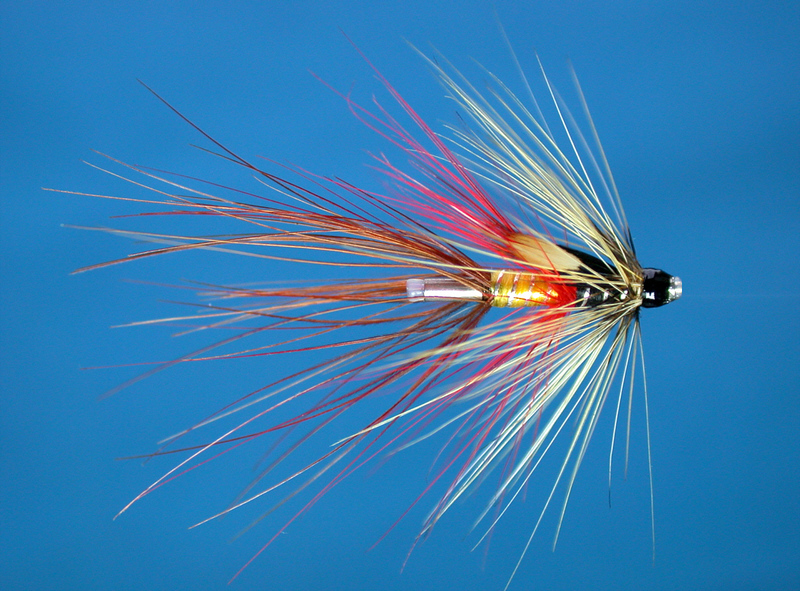 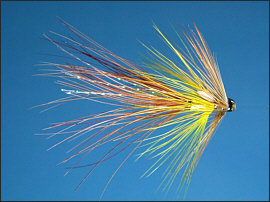 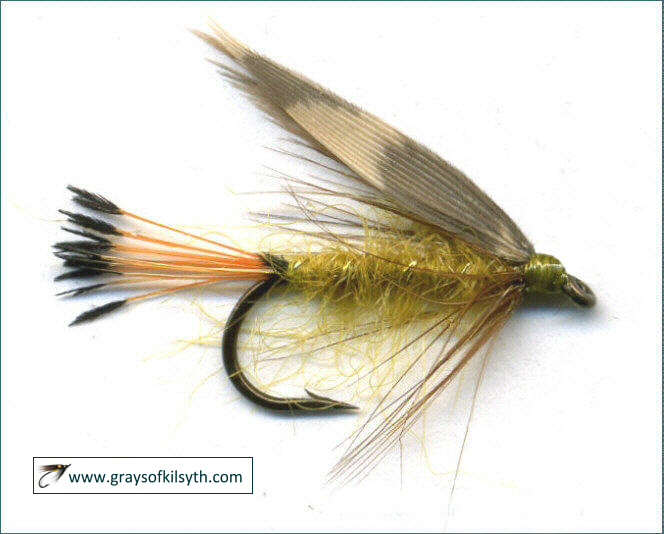 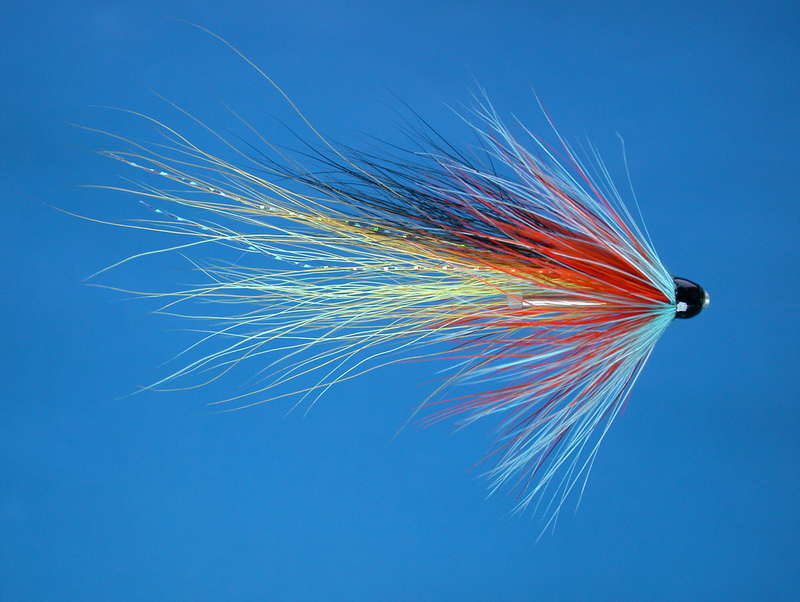 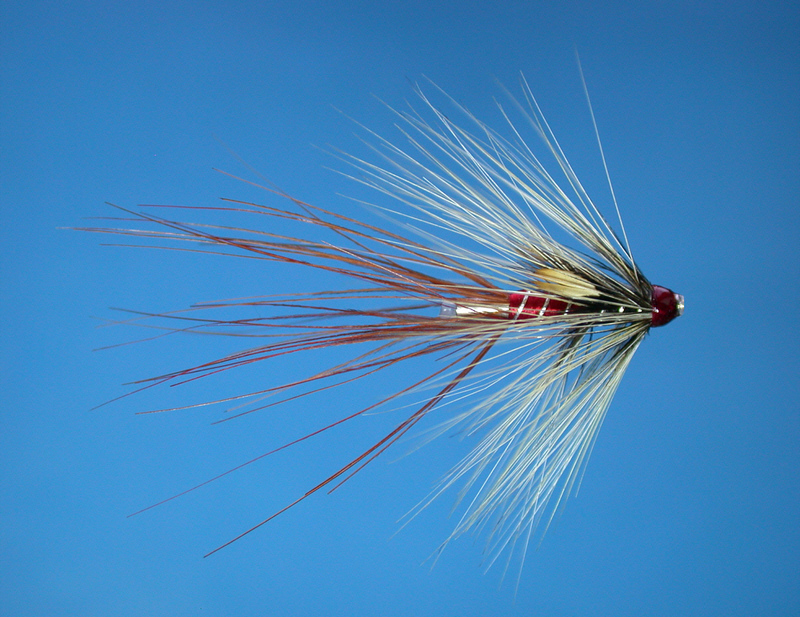 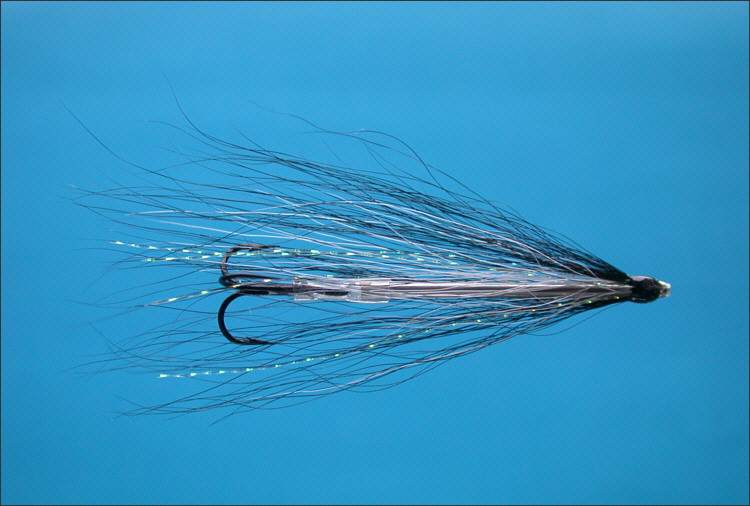 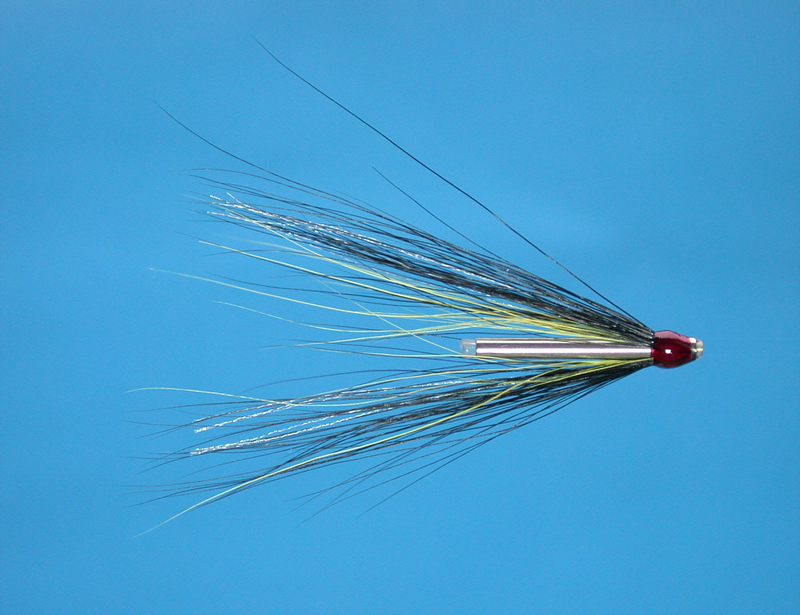 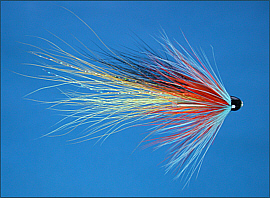 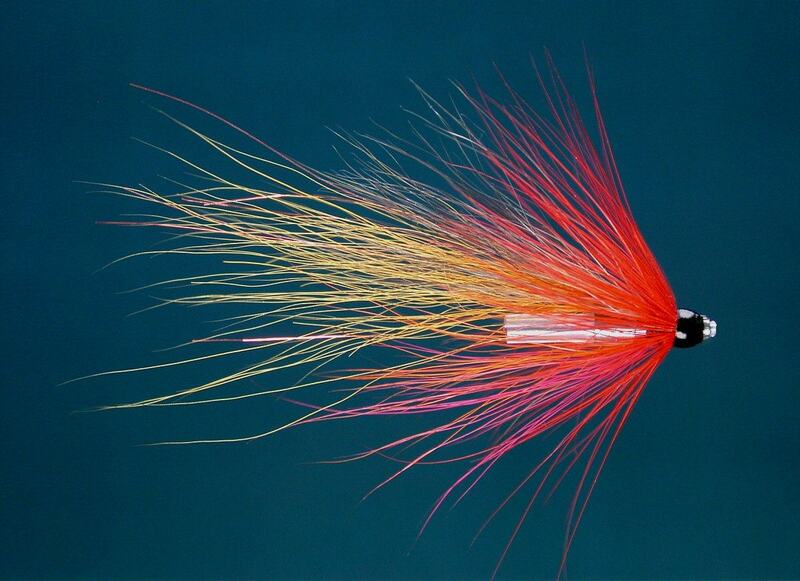 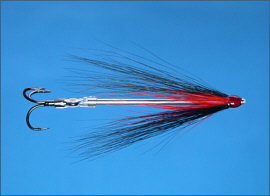 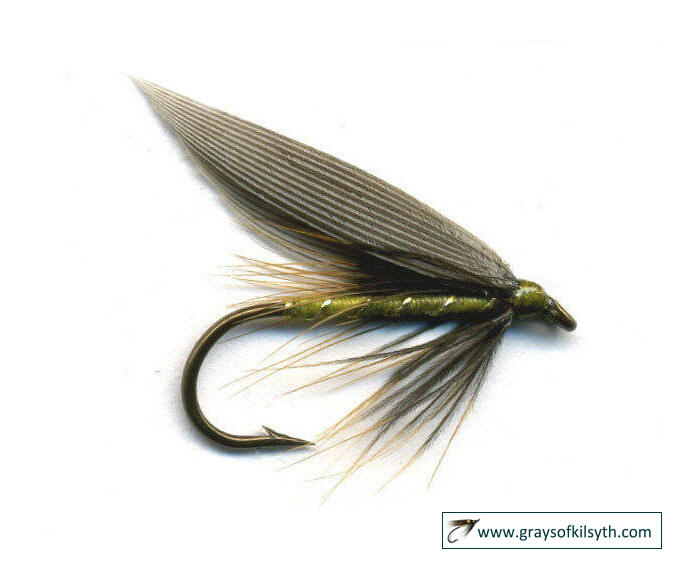 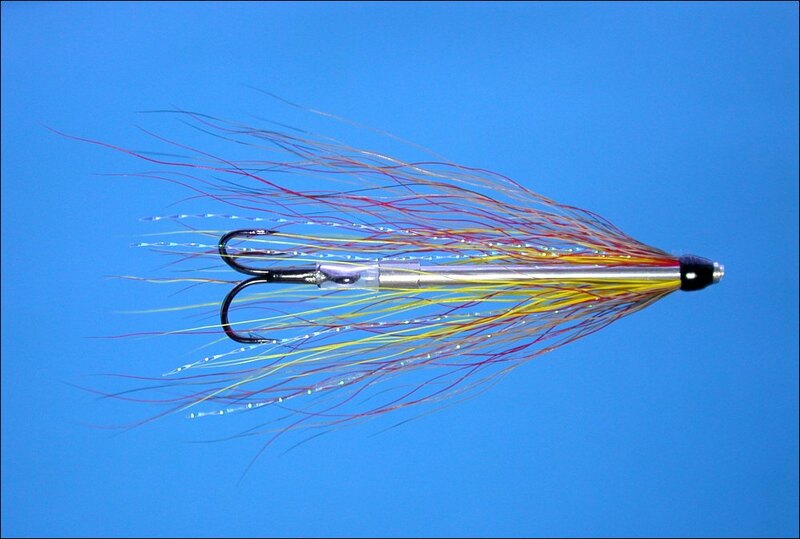 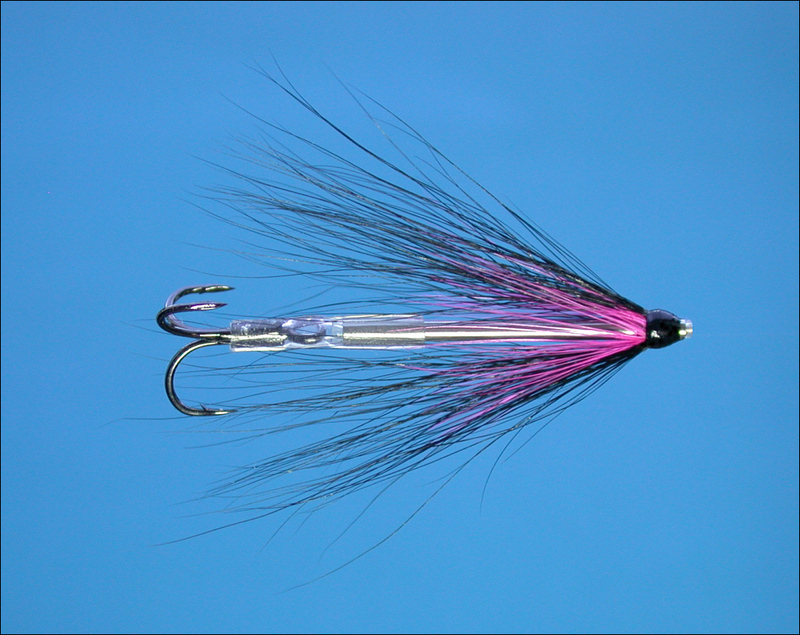 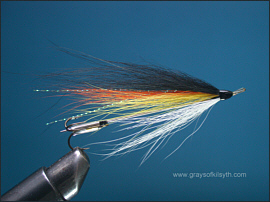 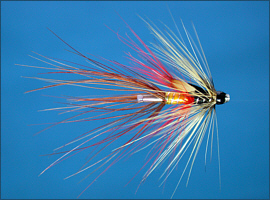 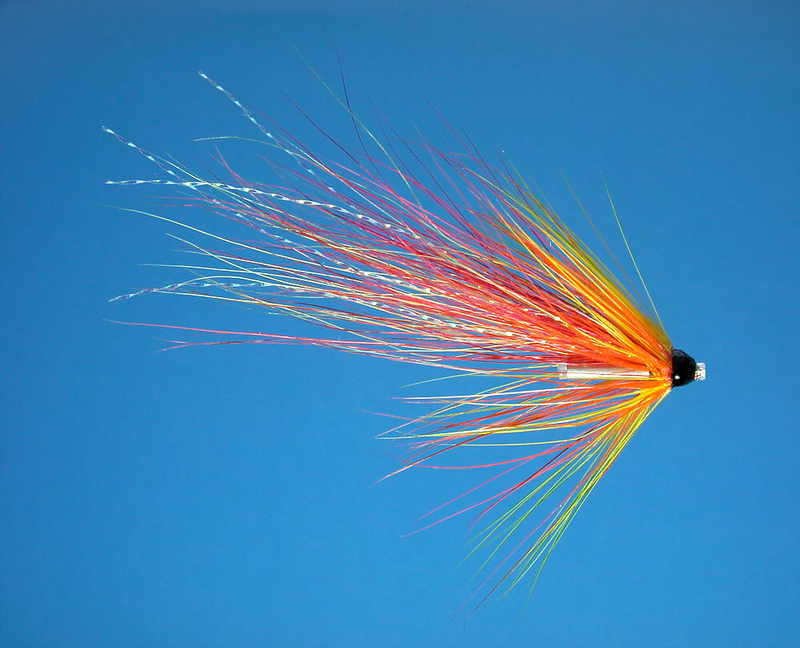 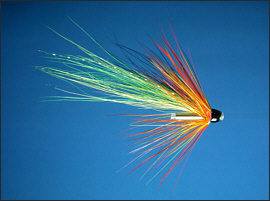 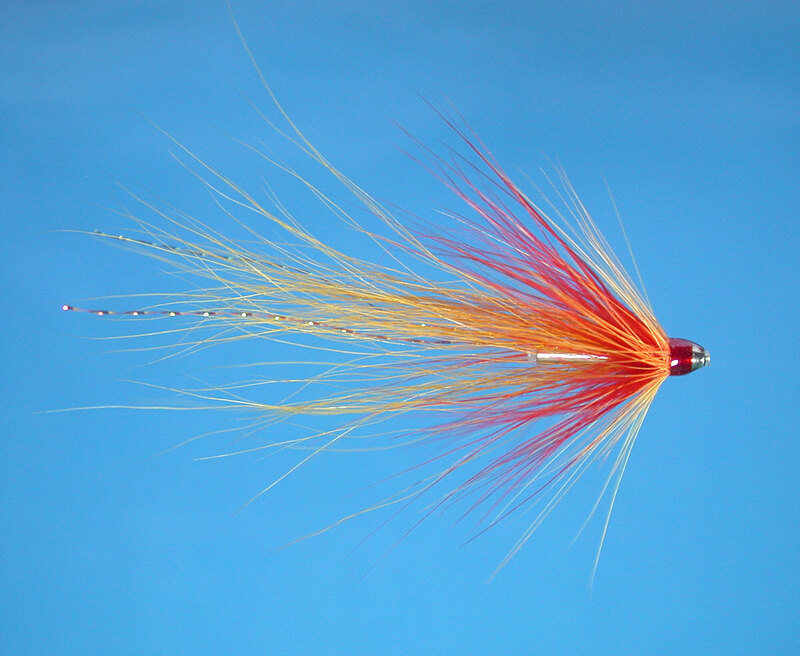 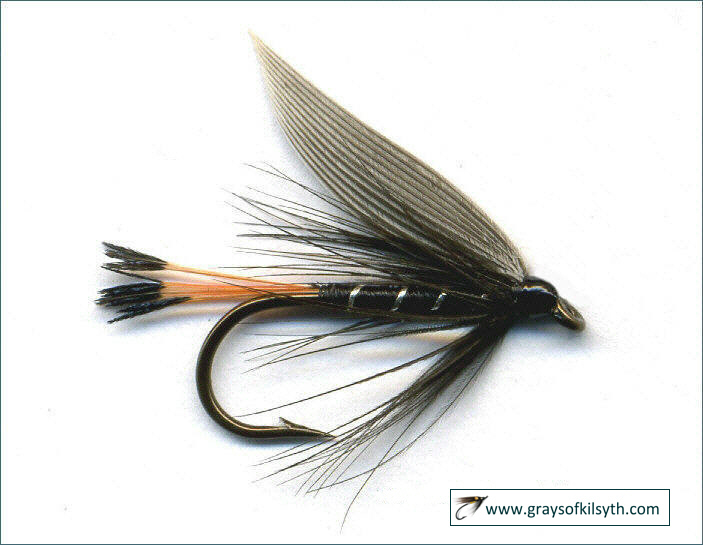 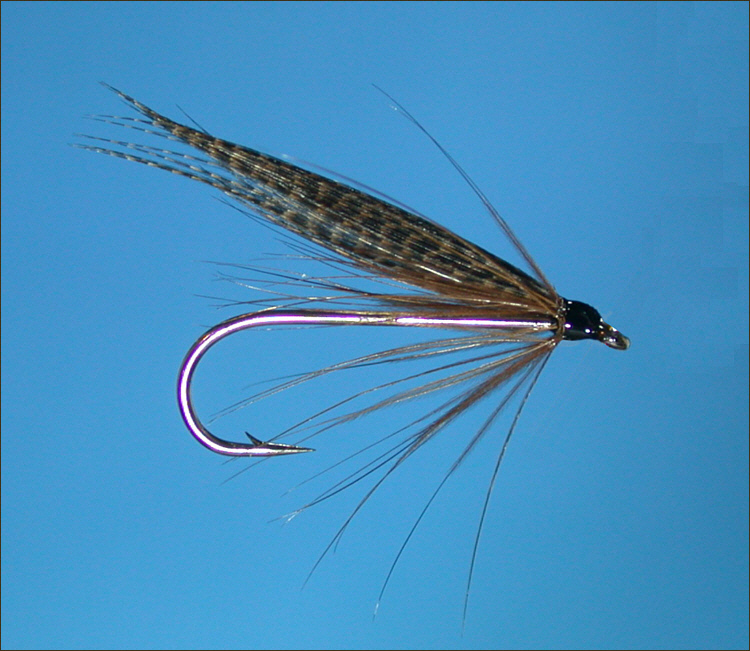 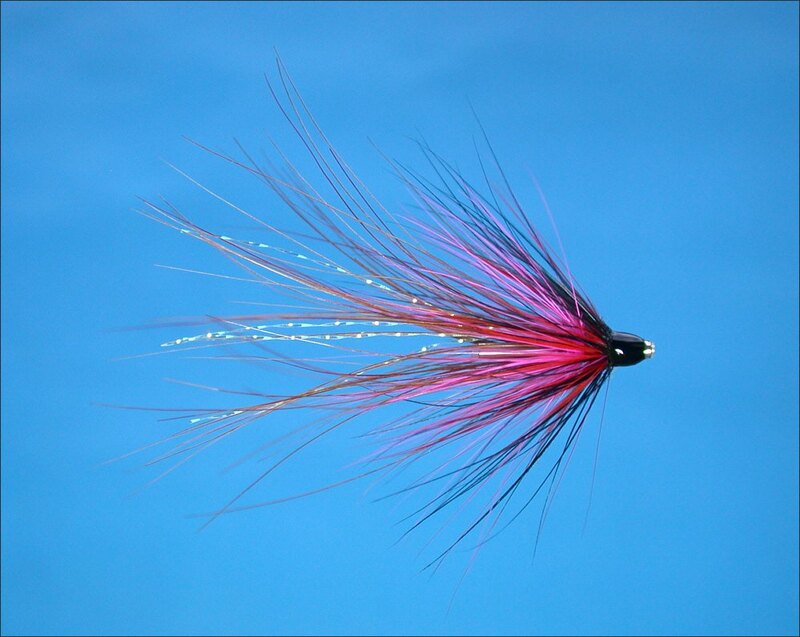 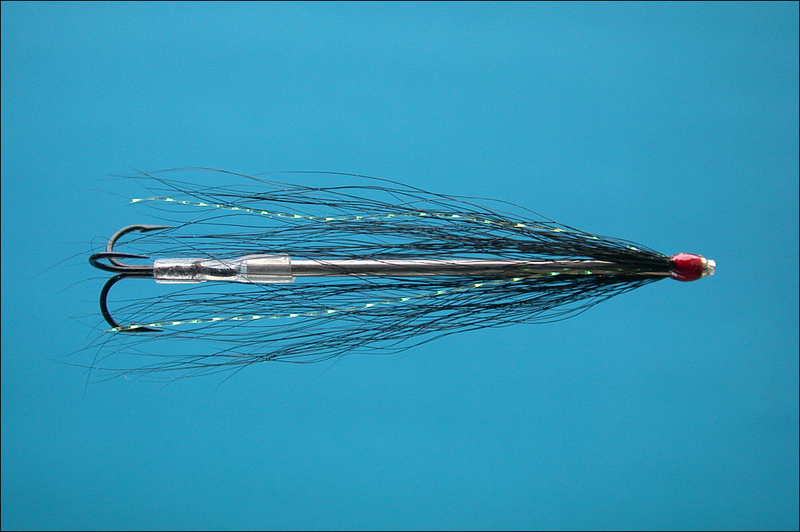 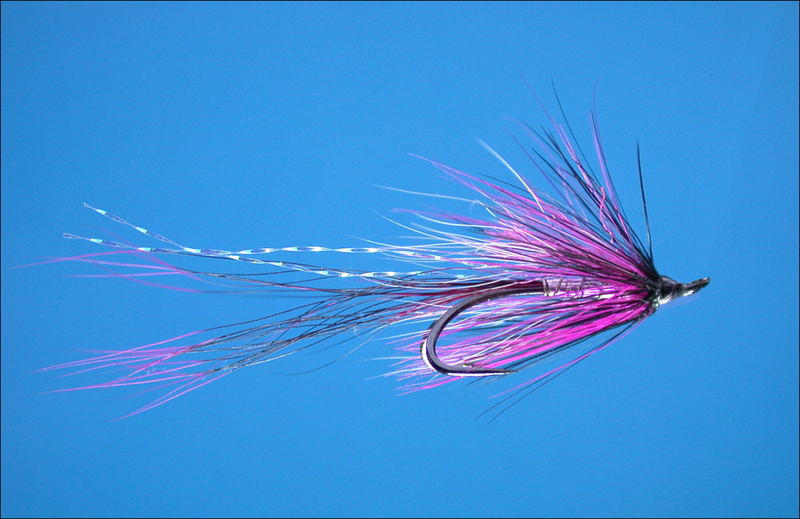 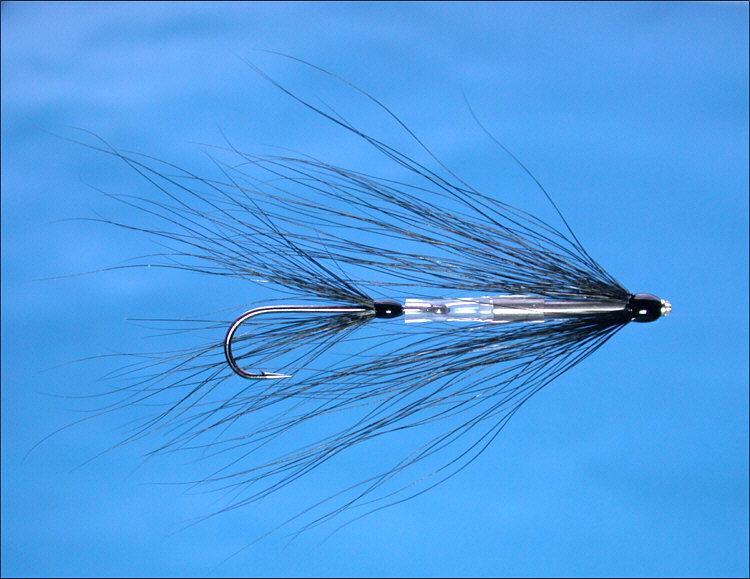 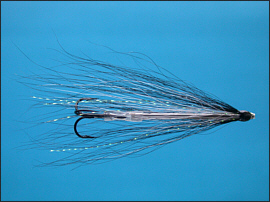 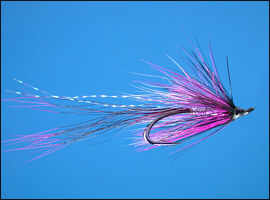 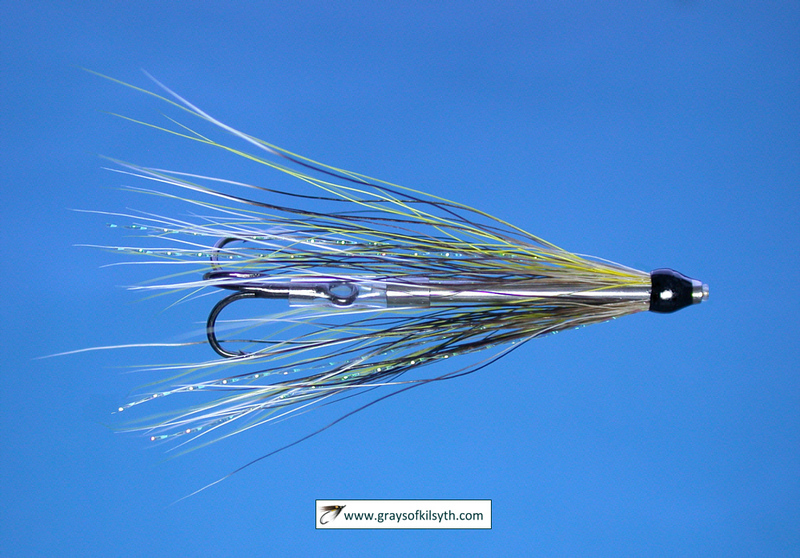 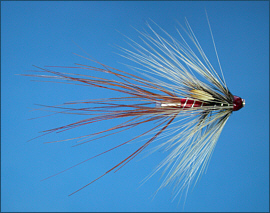 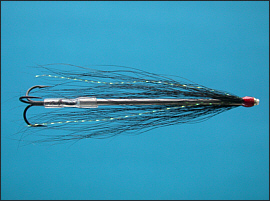 Flies include established favourites such as Ally Gowans's Cascade and other patterns dressed on conventional hooks or fine stainless steel needle tubes, recently developed by Grays of Kilsyth here in Scotland and available online. 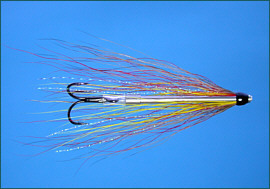 A selection of sea trout flies are shown below, along with notes on how to tie them and a few links to Step by Step photographic fly tying sequences. 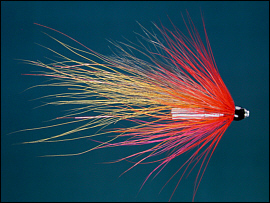 The flies are generally intended for night fishing and are simply dressed, often leaving the hooks or stainless steel tubes undressed to create slim, simple yet very effective night fishing flies. 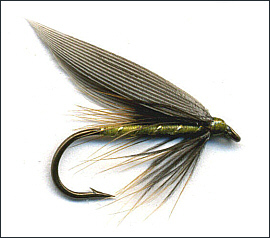 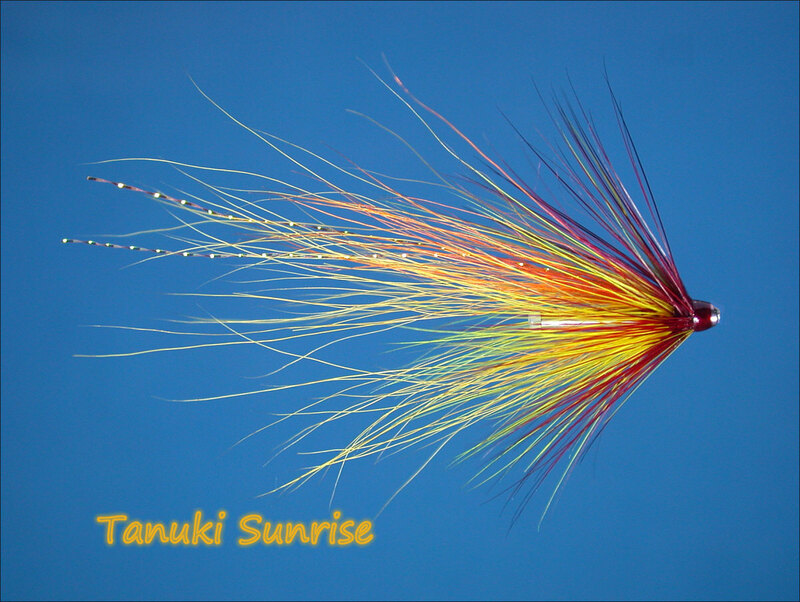 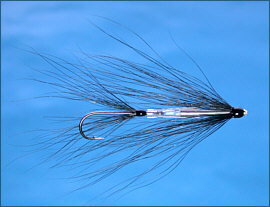 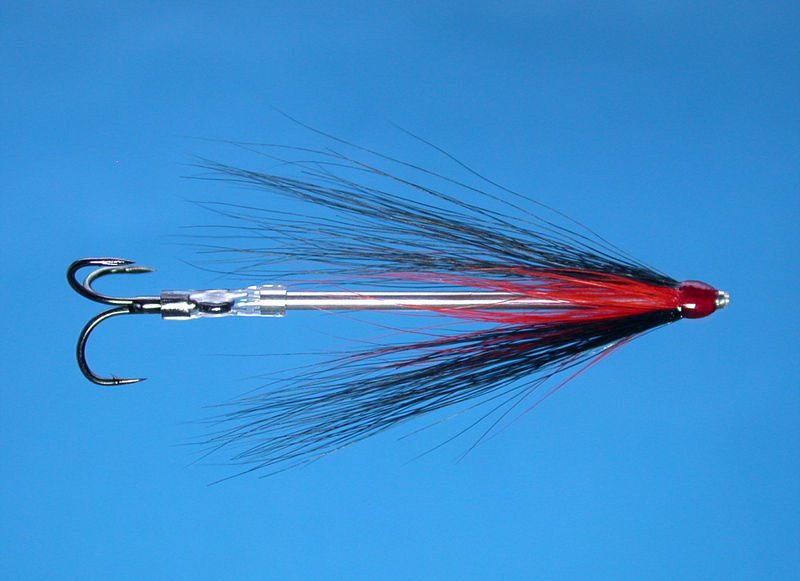 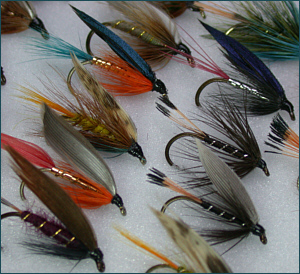 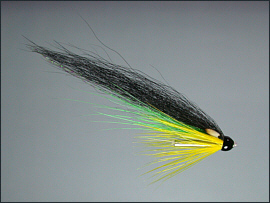 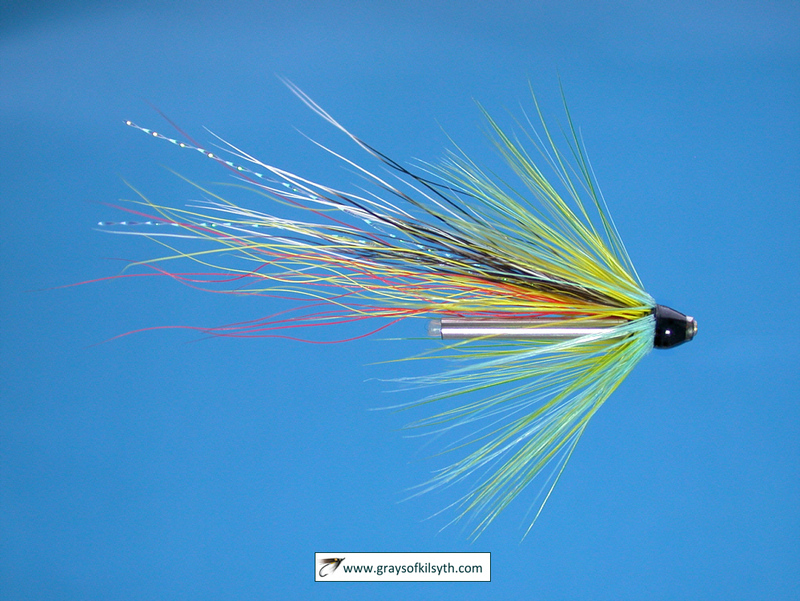 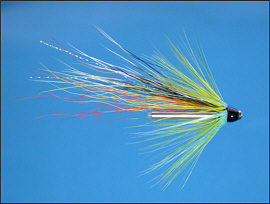 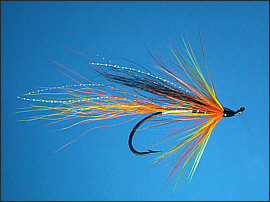 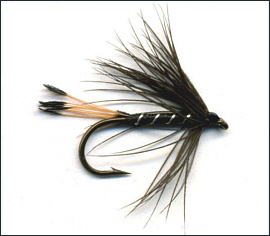 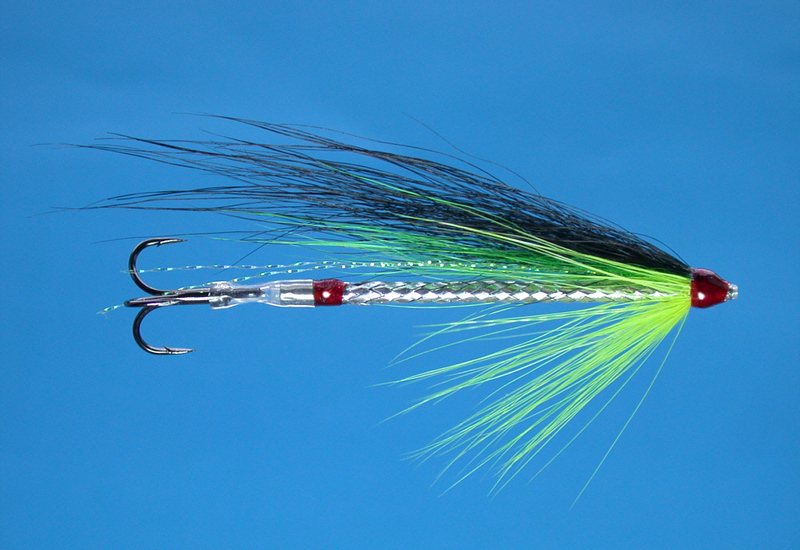 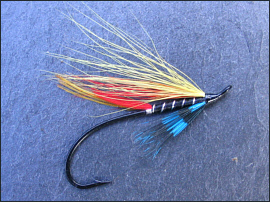 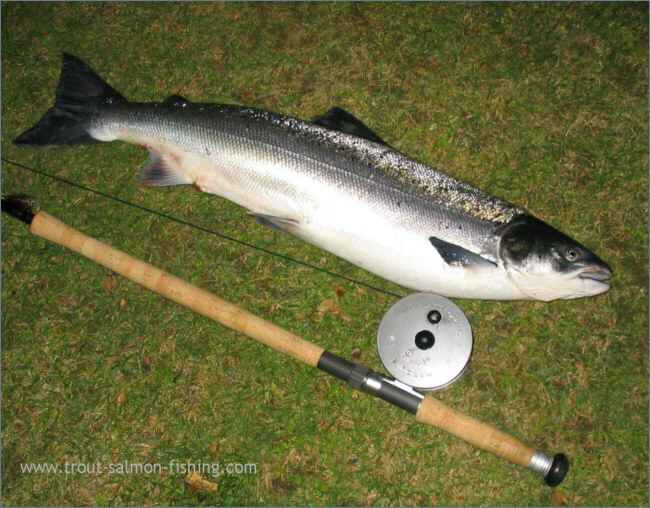 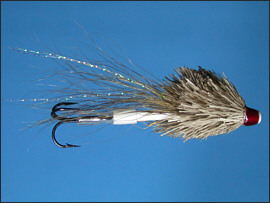 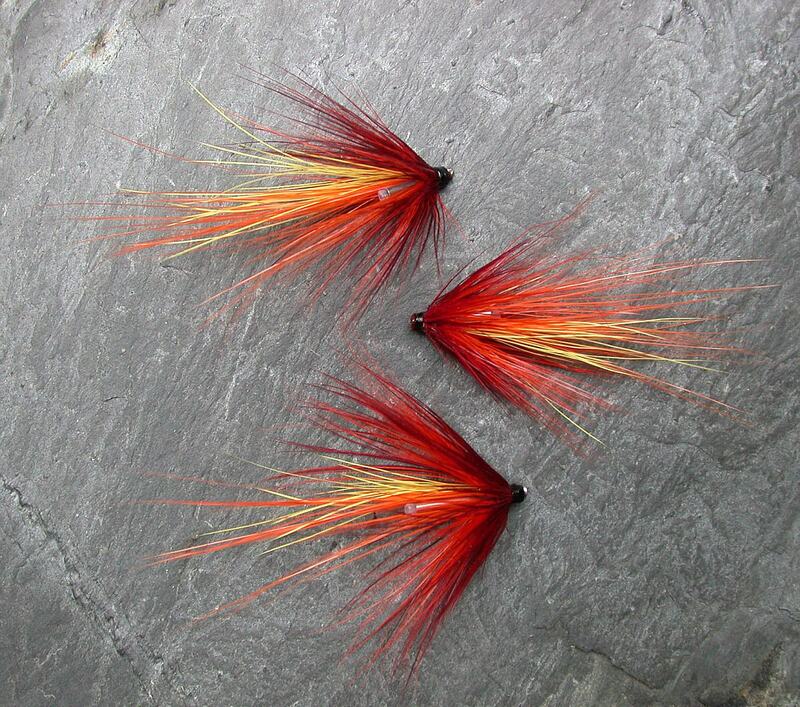 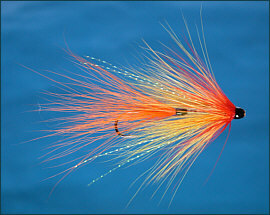 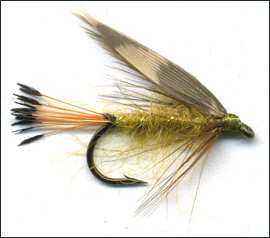 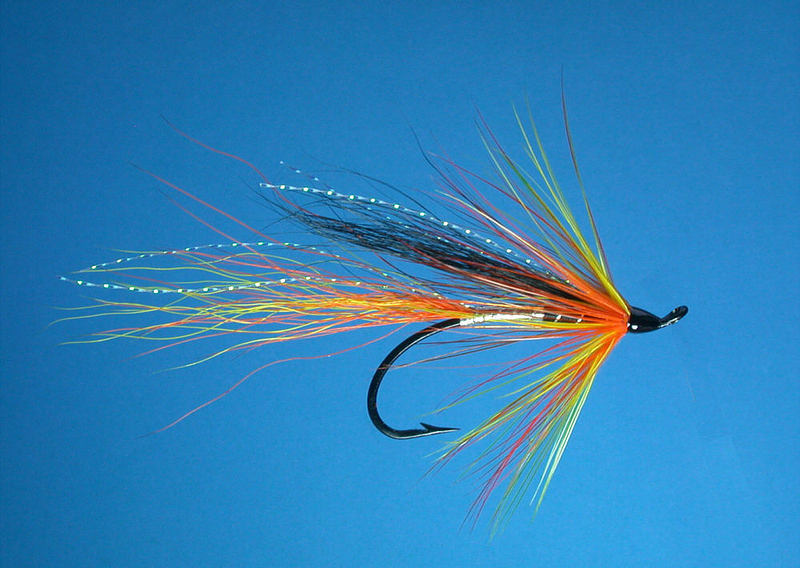 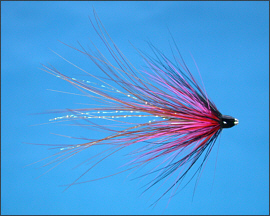 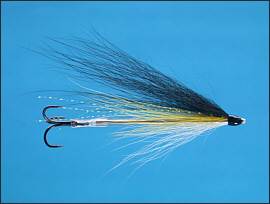 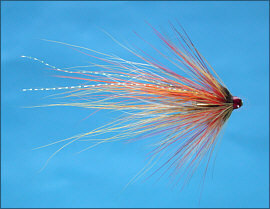 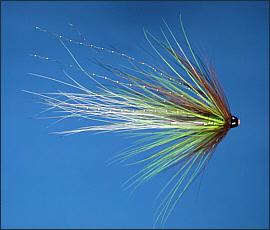 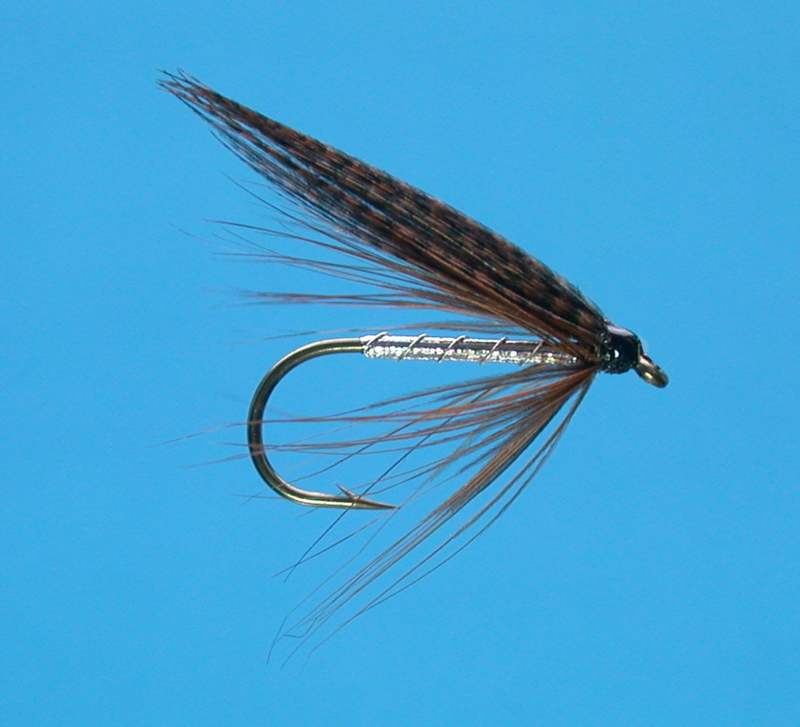 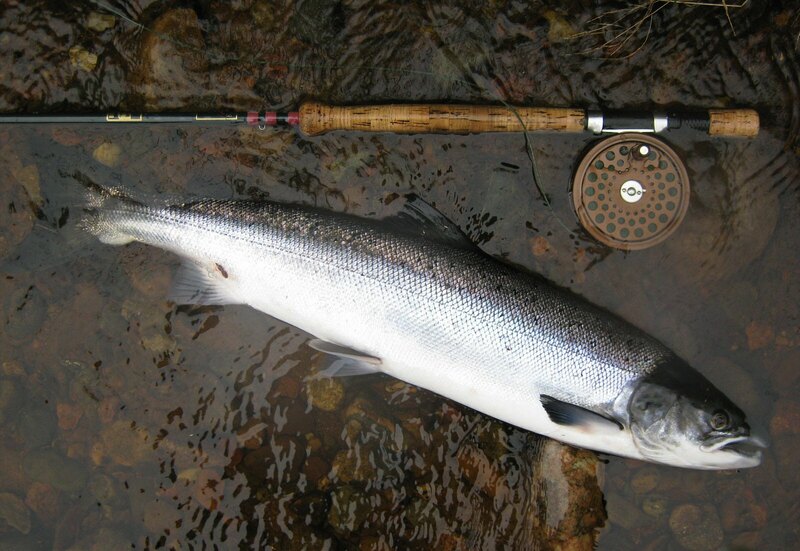 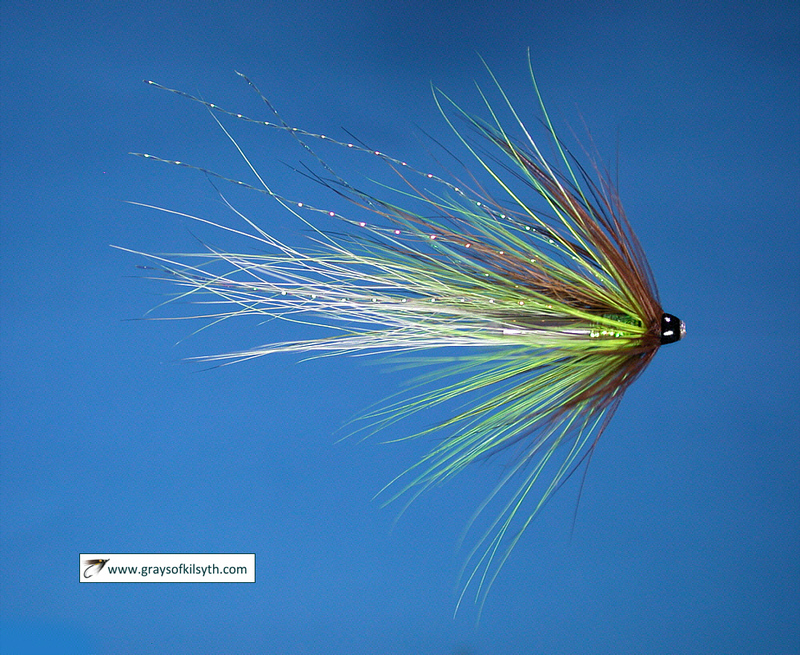 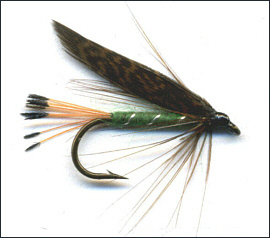 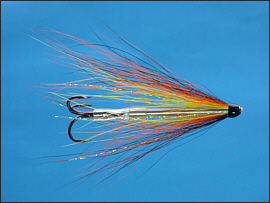 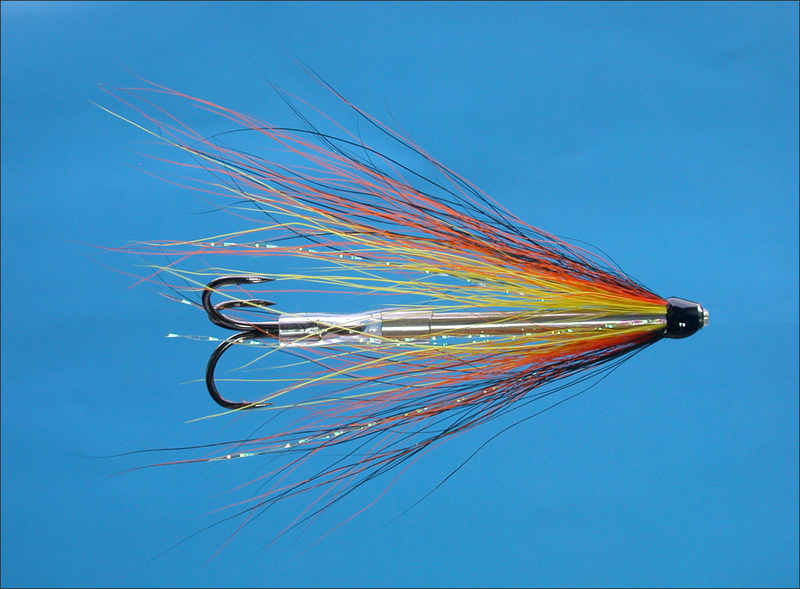 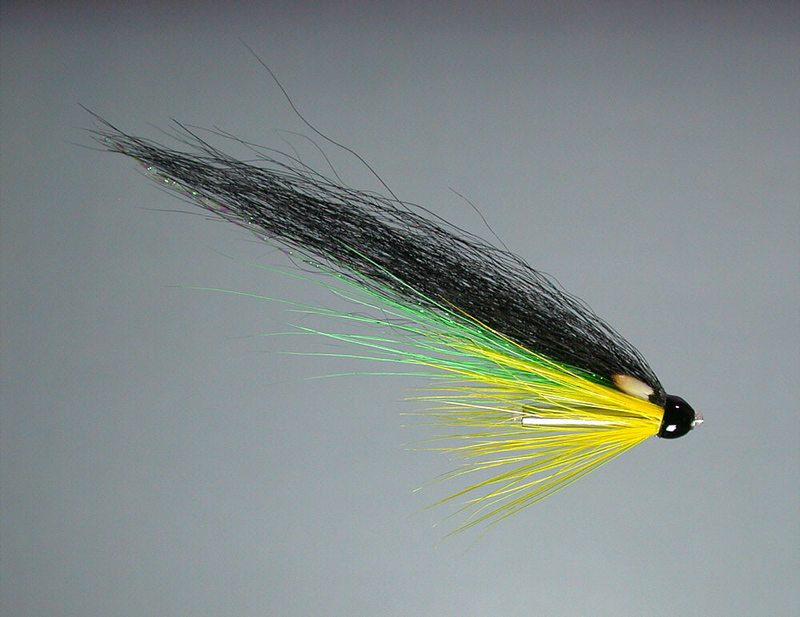 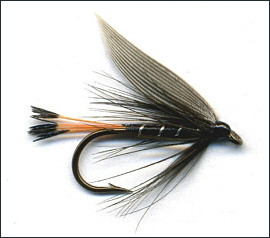 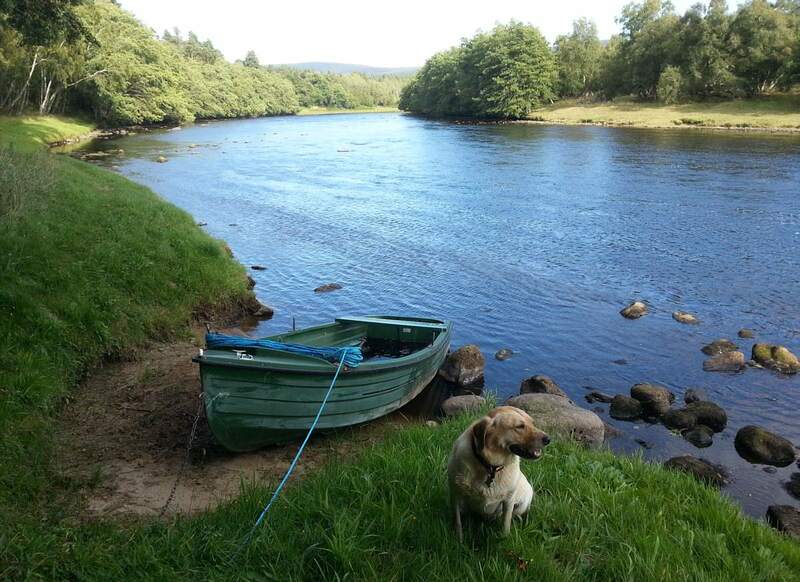 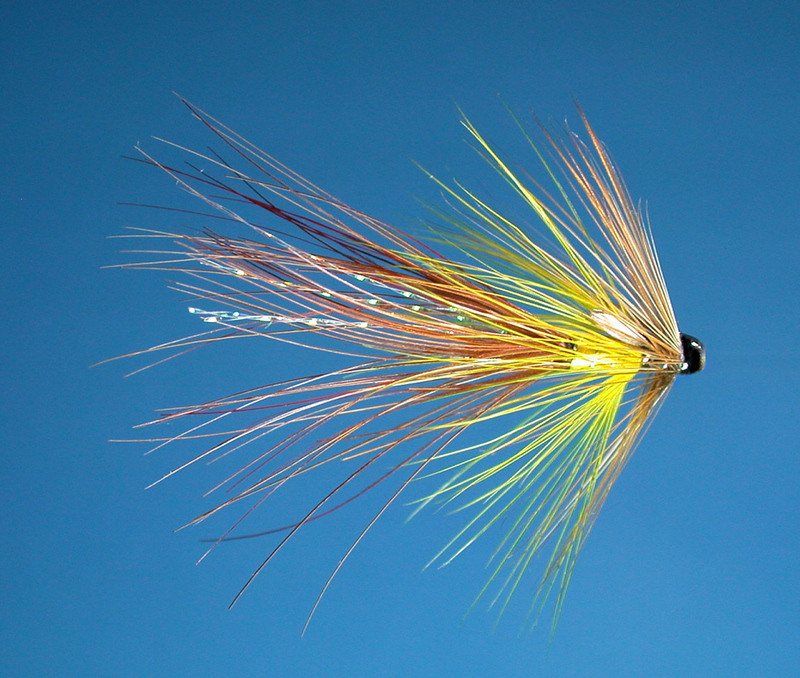 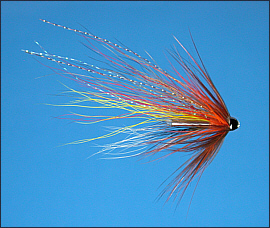 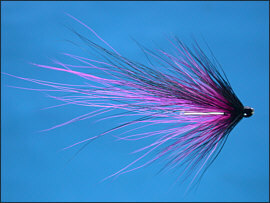 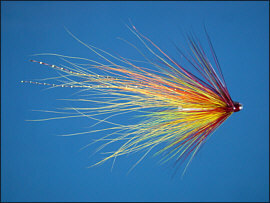 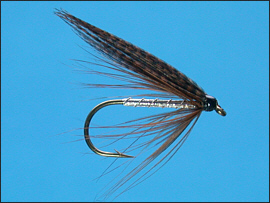 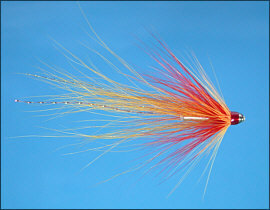 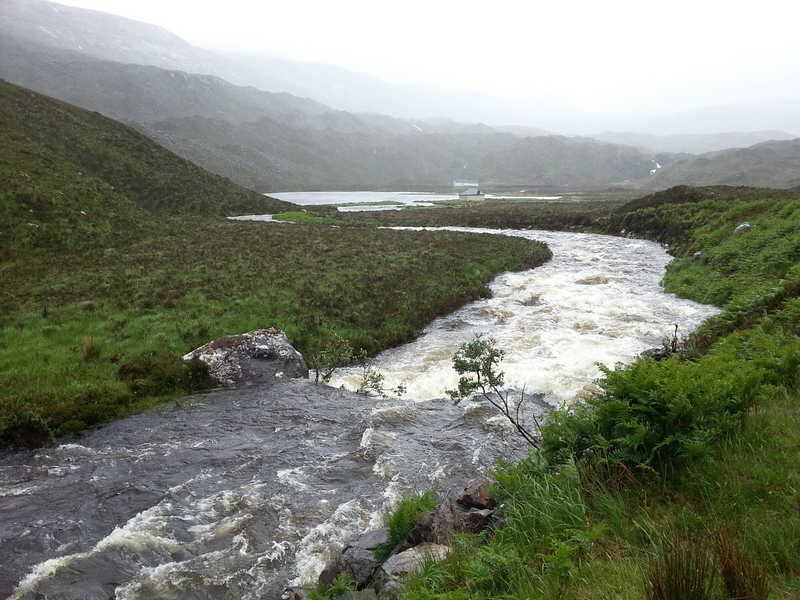 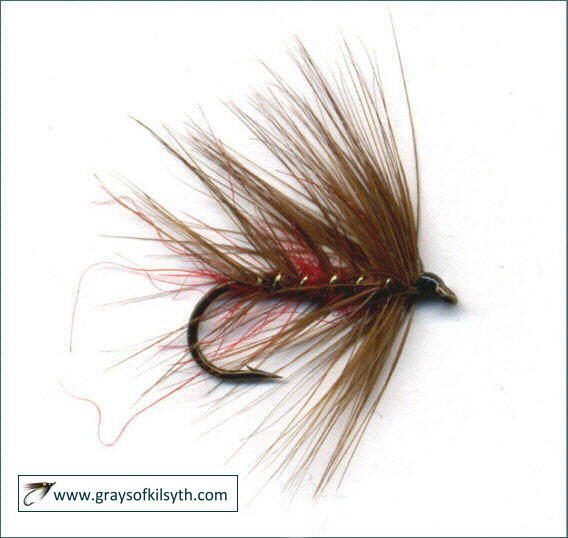 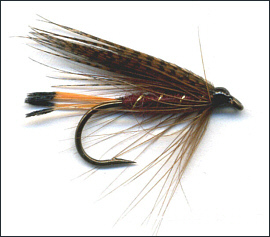 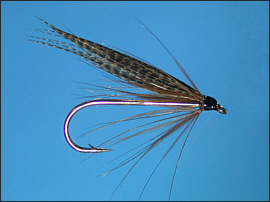 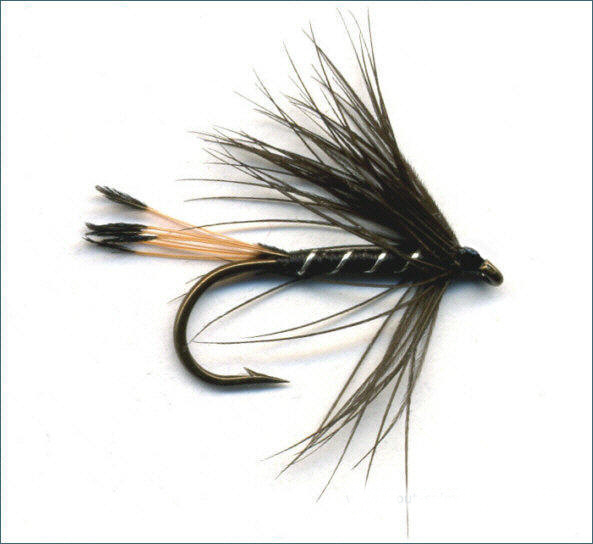 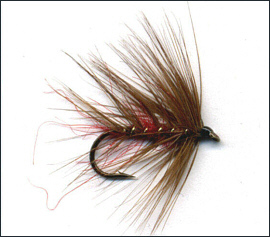 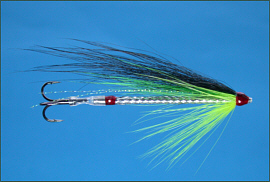 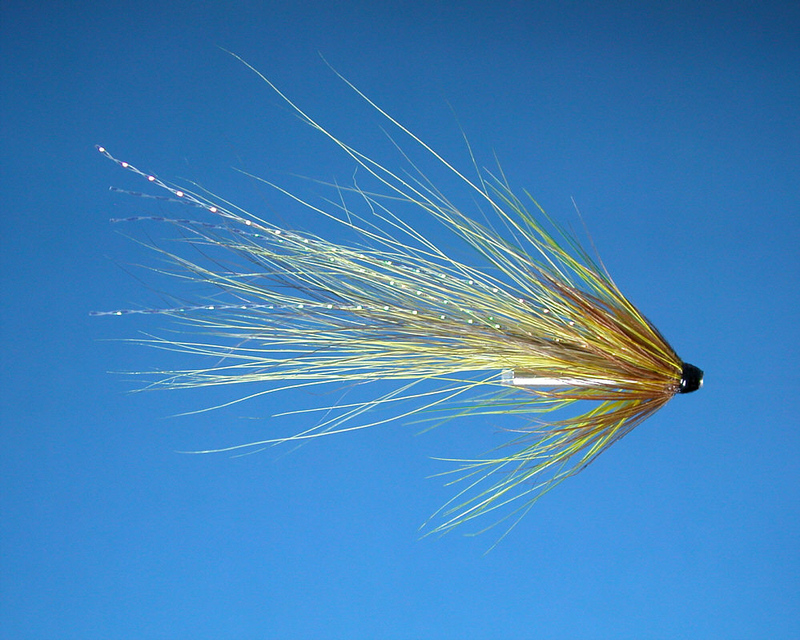 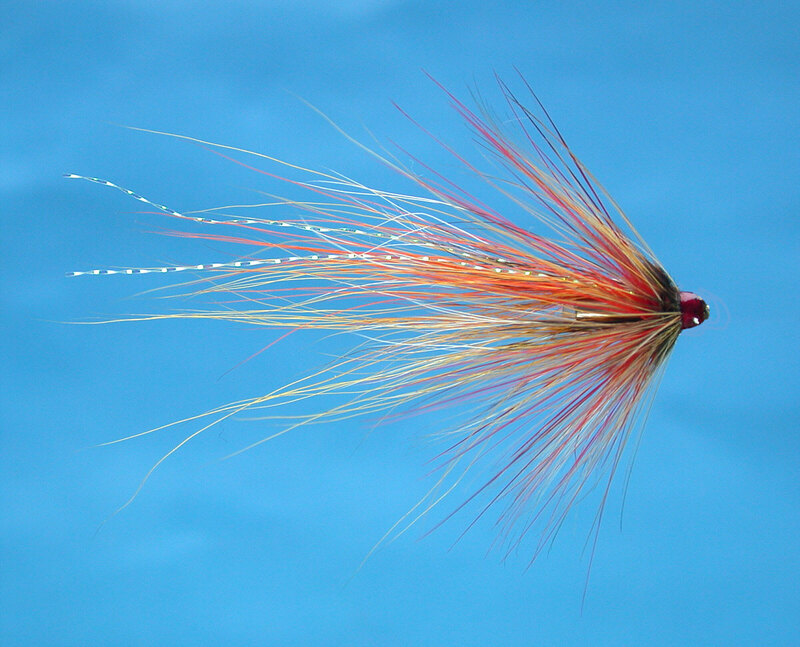 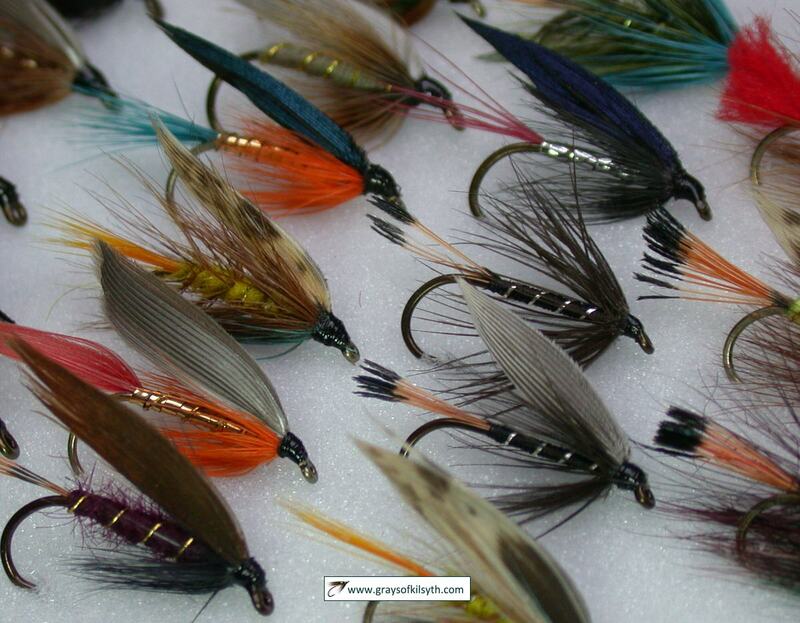 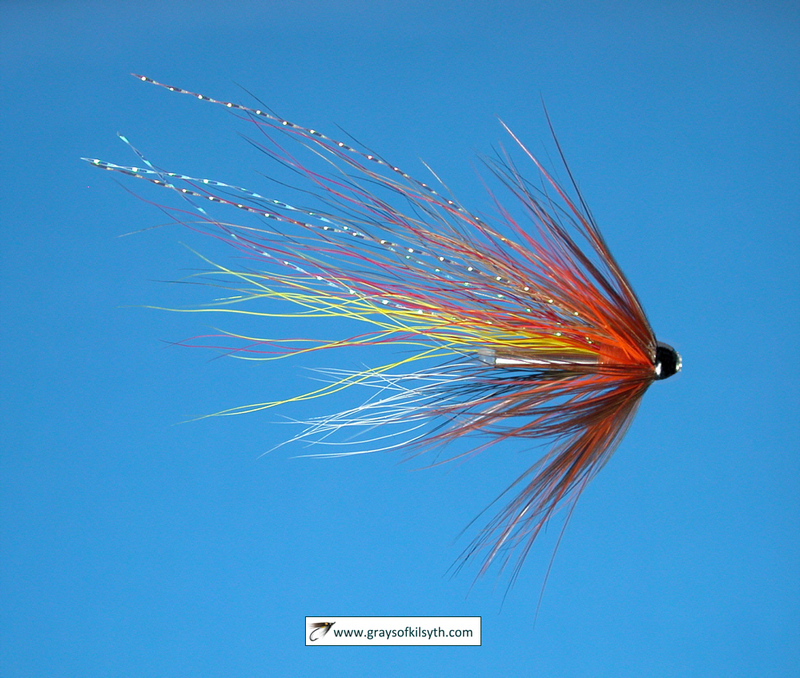 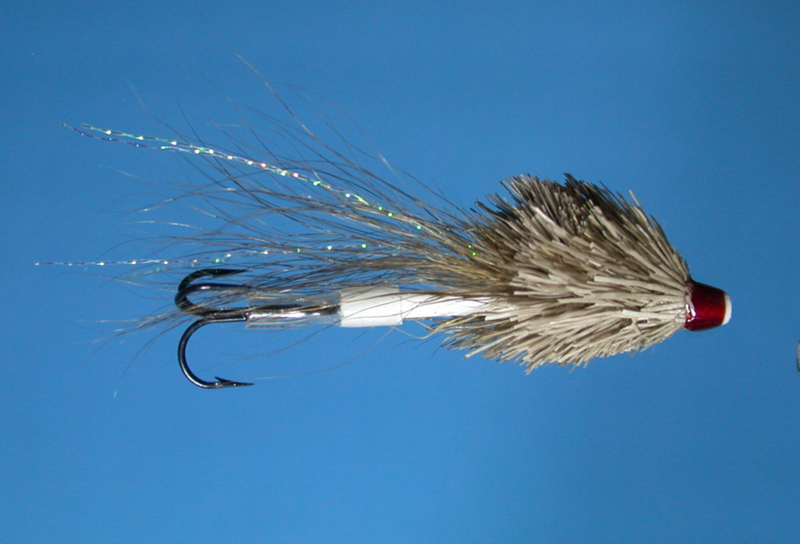 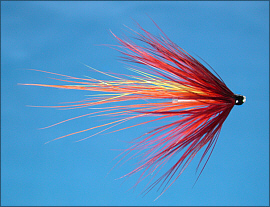 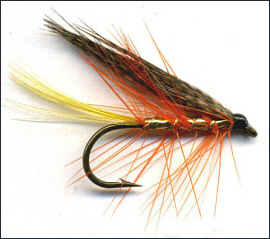 A few famous Scottish trout wet flies are shown below, along with notes on how to tie them. 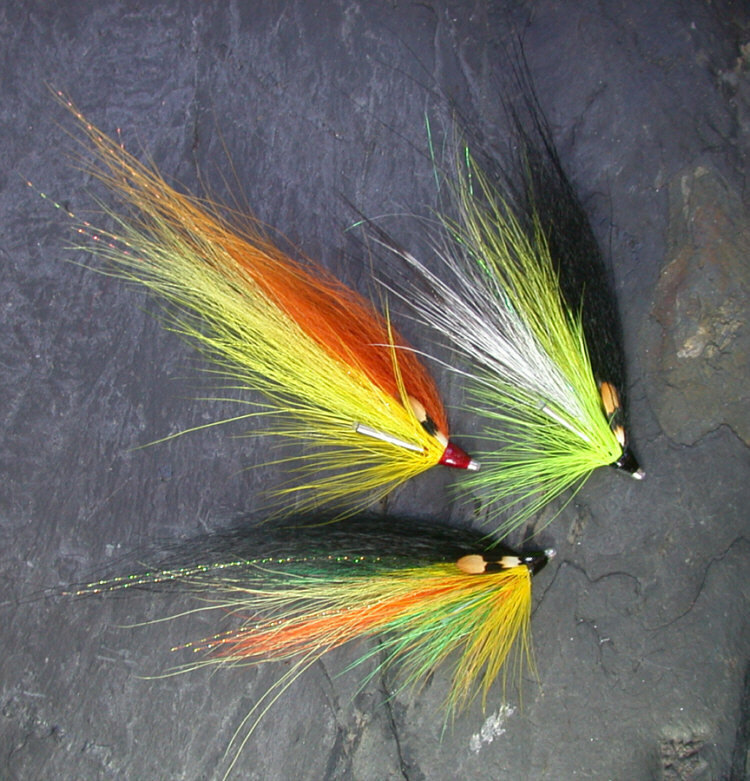 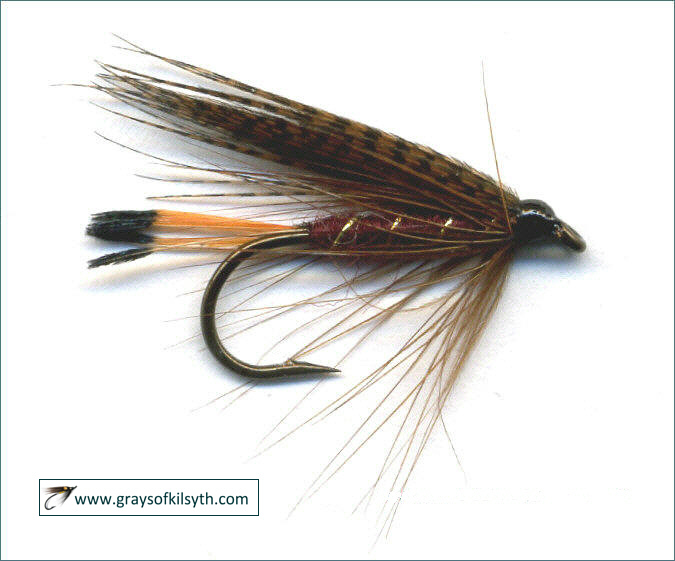 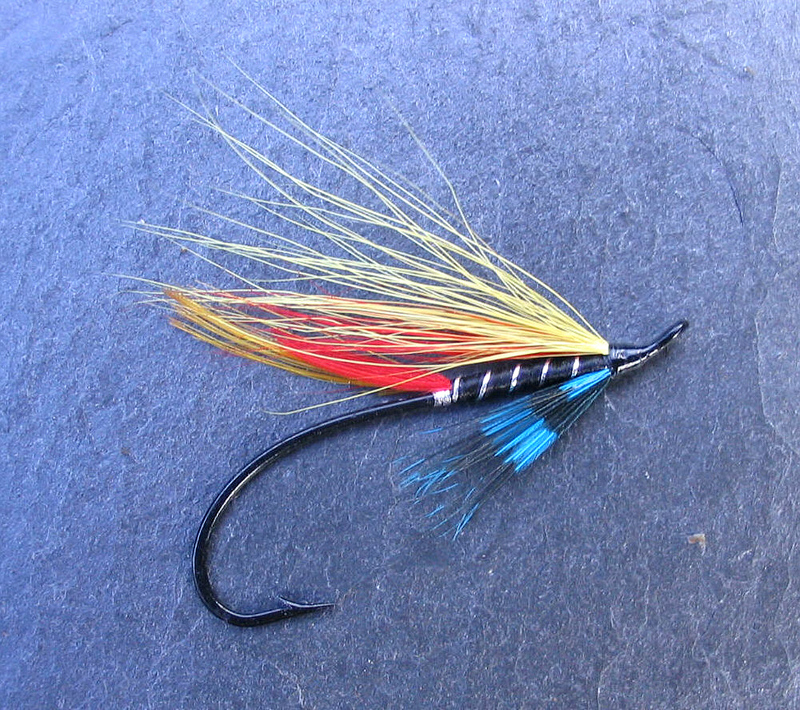 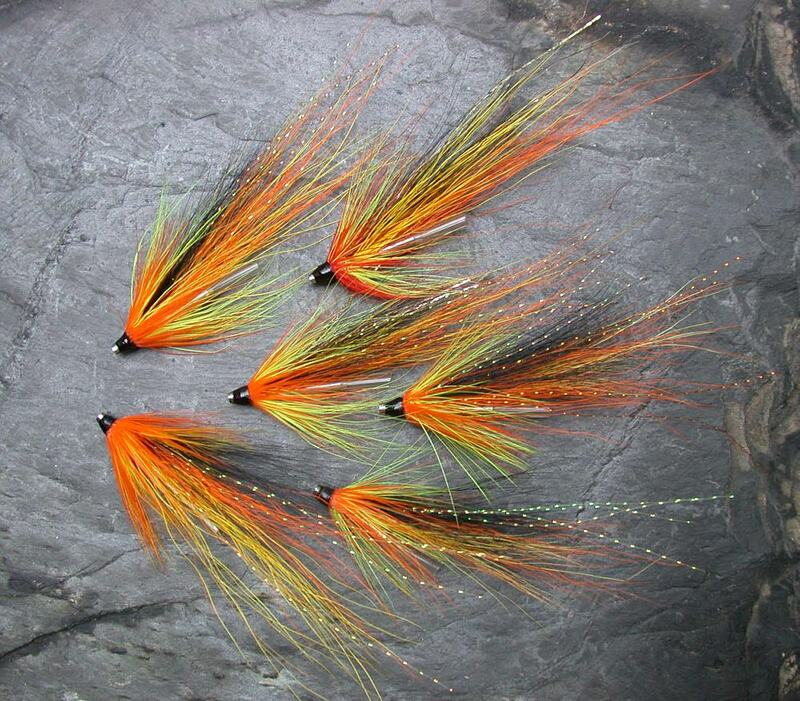 These traditional loch flies include famous patterns such as the Butcher, Mallard and Claret, Blae and Black, Greenwell's Glory, Red Palmer, Dunkeld, Black Pennell, Grouse and Green, Cinnamon and Gold and Woodcock and Yellow, simply dressed using traditional materials.